Efficient cooling fan keep compressed air at lower temperature. Durable cast iron crankshaft and pump. Easy user-friendly operation & simple to maintain. Reliable performance with long operating life. 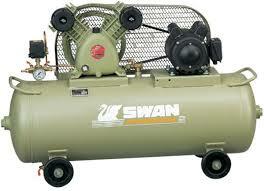 The automatic pressure switch will stop and restart the compressor according to air demand. It is normally recommended for intermittent operation and smaller compressor units.